As the second largest economy in ASEAN, Thailand is moving ahead in its aim to develop higher-value and knowledge-based industries. Central to its plans are polices that will transition its manufacturing and services sectors to become more high-tech and innovative, in line with its Thailand 4.0 economic policies. Thailand also wants to maintain its reputation as a top global tourist destination and position itself as a gateway to Asia. To maintain the country’s competitive edge in the tourism and hospitality sector, Thai workers need next-generation skills to respond to the latest industry trends and to meet the high service standards demanded by increasingly discerning consumers. With its world-class reputation in training and education, Australia is well placed to collaborate with Thailand to develop a workforce which is more competitive and able to deliver cutting-edge services. Australia’s expertise in VET is highly regarded in Thailand and the number of successful partnerships in industry and academia is growing. The newly launched ‘International Chef Program’, which trains students from selected vocational colleges across Thailand to Australian hospitality industry standards is producing world-class chefs with internationally recognised qualifications. The International Chef Program was developed in partnership with one of Thailand’s leading hotel and hospitality conglomerates, Minor International, an Australian VET provider, Workskills International, and the Thai Office of Vocational Education Commission, Ministry of Education. Coffee Club, an Australian cafe chain that is managed in Thailand by Minor, runs this program. The course includes core elements of Australian chef qualifications and incorporates additional content enabling graduates to operate in an Asian context. Qualifications earned enhance the employment opportunities of graduates in Thailand, and in the rest of ASEAN, providing the much needed skilled labour force to maintain Thailand’s position as a high‑quality tourism and hospitality destination. 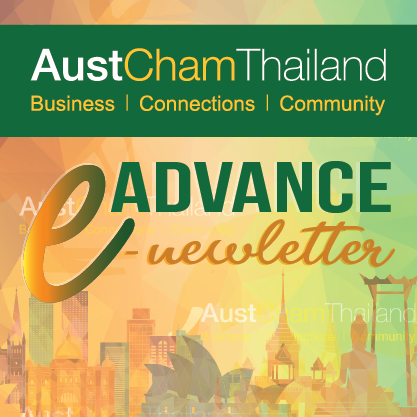 With Thailand needing to produce 1.6 million skilled workers each year to achieve its Thailand 4.0 objectives, and Australia’s reputation for quality vocational education, the outlook for Australian businesses in Thailand’s thriving education sector is strong. His Excellency Mr Paul Robilliard, Australian Ambassador to the Kingdom of Thailand, is a senior career officer with the Department of Foreign Affairs and Trade (DFAT). Before arriving in Thailand, he served in Canberra as First Assistant Secretary, South and West Asia Division. Prior to this, he served twice as Head of the United Nations Security Council Taskforce (July–Oct 2013 and Nov 2012– May 13) and served in between as Senior Adviser, International, in the Prime Minister’s Office (May–July 2013). He has served overseas as: Deputy Head of Mission at the Australian Embassy in Jakarta (2009–12); Consul-General at the Australian Consulate-General in Honolulu (2001–04); Ambassador to Syria and Lebanon (1992–95) and had an earlier posting in Singapore (1986–89). In Canberra, Mr Robilliard has served as: First Assistant Secretary, South and West Asia, Middle East and Africa Division (April– Nov 2012); Assistant Secretary, Afghanistan and Iraq Branch (2008); Head of Iraq Taskforce (2006–08); Assistant Secretary, North East Asia Branch (2004–06); Assistant Secretary, Parliamentary and Media Branch (1999–2001); Assistant Secretary, International Organisations Branch (1998–99); and Director, Executive Liaison Section (1996–98). Mr Robilliard holds a Bachelor of Arts with honours from the Australian National University in Canberra. He is married to Hanan and has two daughters, Christine and Emma.